We are over the Hanukkah hump — it’s already the sixth night. The season’s slipping by way too quickly, despite my complaints about all the work it creates. 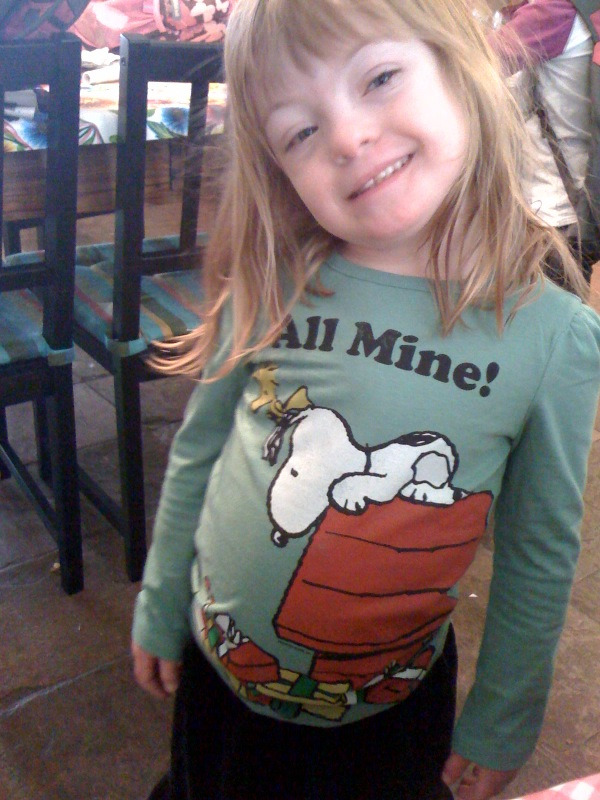 And so, a small break to appreciate Sophie’s new holiday shirt (above) and Annabelle’s gingerbread house. 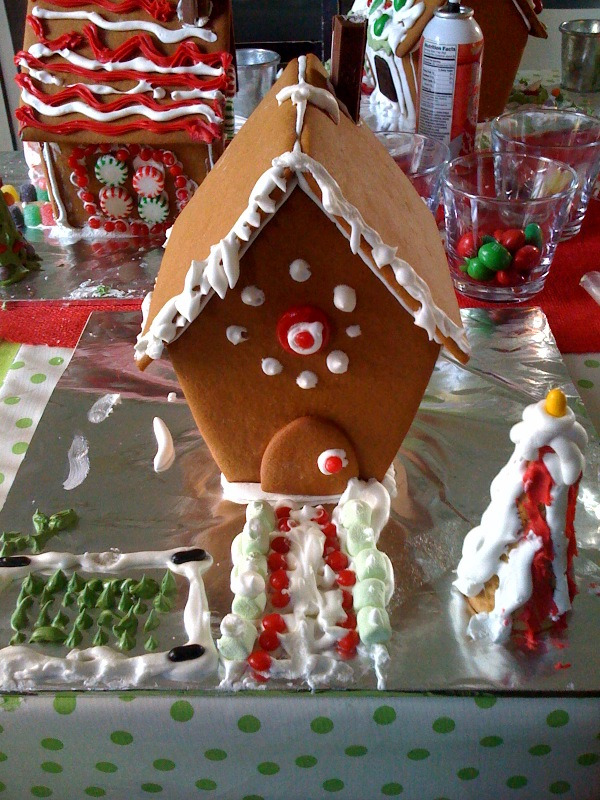 We are doing gingerbread houses this weekend (to celebrate the end of Hanukkah?). Love the foil, I mean icey base. Next: The Meaning of Hanukkah — And, for that Matter, Everything Else.